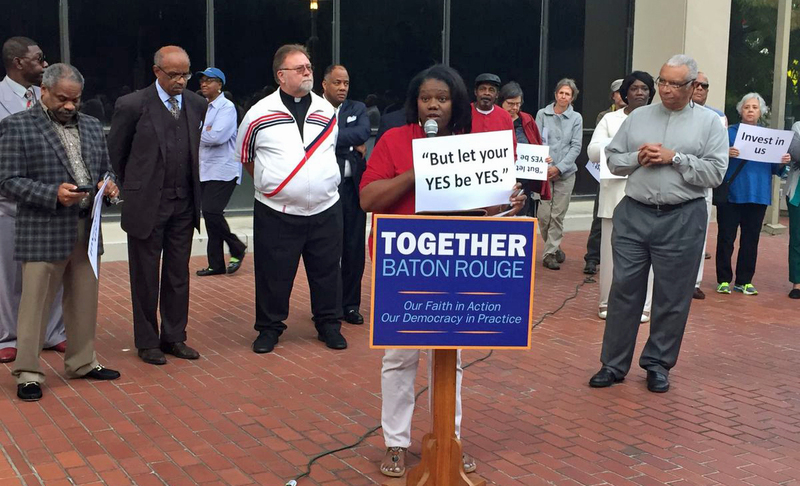 Carrying signs quoting scripture, 75 leaders rallied outside City Hall Monday, asking city council members to fulfill their campaign campaign and invest in the eradication of food deserts in Baton Rouge. Said Community Bible Baptist pastor Rev. Lee T. Wesley, "It's time to transform that commitment into action. If not now, when? If not you, who?"